Oh the potential of yarn! I’ve taught knitting to everyone from age six to sixty-plus. I love that it’s universal – spanning age, location, taste, and time. One can make a quick project or work on something for years, keep it simple or make something fancy. Knitting keeps the hands busy and the mind relaxed. 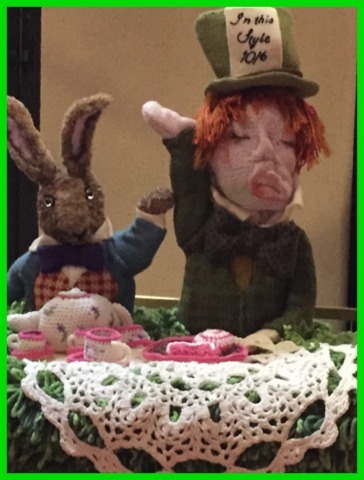 Knitting is “Zen” – it’s been proven that knitting is meditative, aids in keeping the mind sharp, reduces anxiety, and helps with circulation and arthritis. I always say it is my “yoga”. 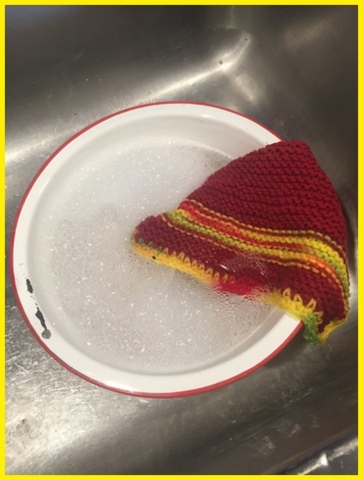 to dishcloths! 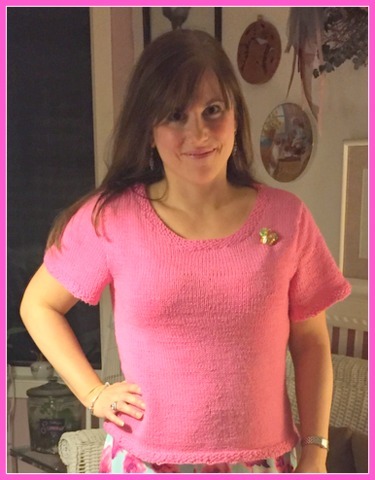 I love to knit it all! 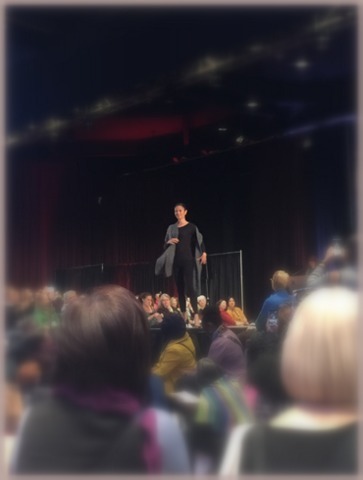 My best friend started as one of my knitting students, and for the past several years has told me about “Vogue Knitting Live”, a huge event, occurring in nearby New York City in January. This was the first year I was able to go, and I couldn’t wait! We met very early on Saturday morning, and Andrea, Loretta, and I headed for the train out of Brewster, NY. Waiting for the metro to arrive, we chatted with some other ladies; we knew by their hand knit scarves, gloves and bags they must be headed the same place. 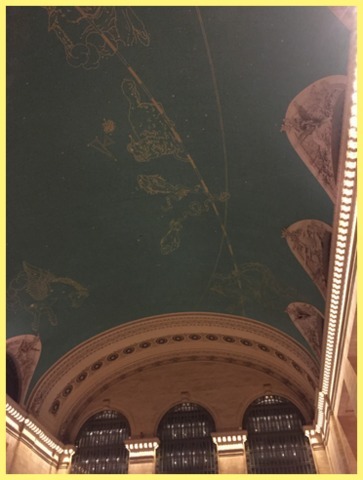 When you’re in Grand Central Station, look up! 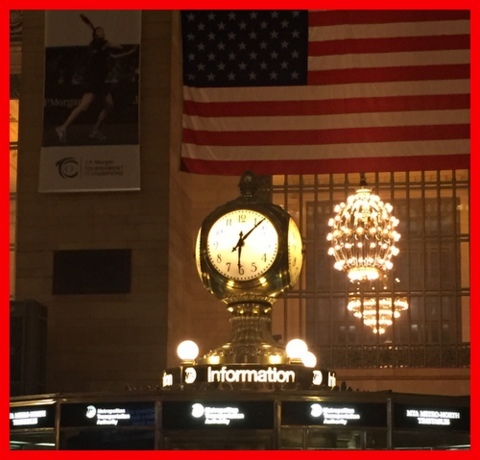 I haven’t been to Grand Central Station in many years, but the experience is the same: it looks just out of a movie with bustling people from different walks of life all hurrying about. The building is bursting with amazing architecture. The high ceilings are works of art, the brass work framing everything, including the old radiators in the floor, is beautiful, the old clock…it is like a museum in itself! We then walked the few blocks down to the Marriott Hotel where the convention was taking place. Once through the doors, Vogue Knitting Live was like nothing I’ve ever seen. Several floors were dedicated to the event. While there were classes, we were there for one day, and only going to see the Marketplace (which you don’t even have to be a knitter to enjoy)! We saw more yarn, needles, and project ideas than one could imagine! 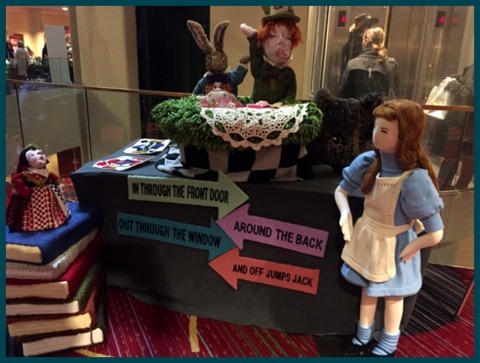 Hundreds of booths were filled to the top – brimming with creativity galore! From the latest trends to the most classic styles, there was something for everyone. I loved seeing all ages – from young hipsters to grandmothers in classic cardigans and pearls – all coming together with a single love – knitting. We met women (and men) from all over the world. Hello to the ladies from Delaware we ate lunch with! 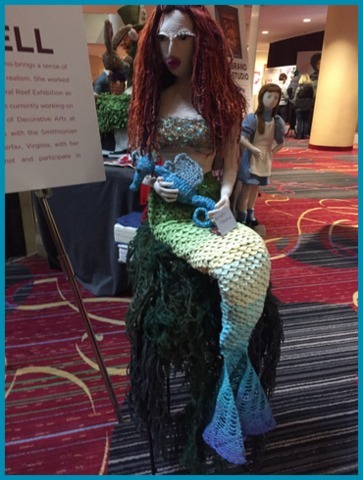 We marveled at life-size 3D storybook characters created by Lion Brand Yarn – all knitted! This wasn’t just knitting – this was art. The creations were phenomenal! Yes, this is made from yarn! The knitted artwork was unbelievable! One artist I met and adore is London Kaye. 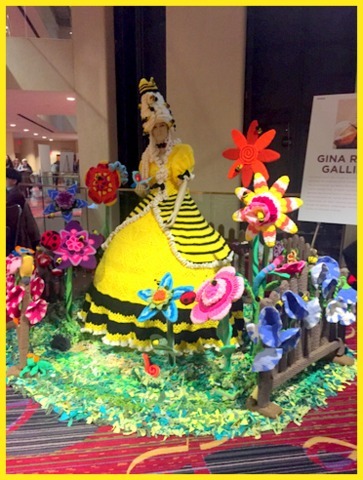 She herself is beautiful and graceful, but her creations from yarn are AMAZING! She is a yarn-bombing street and commercial artist, who is just brilliant! Check out her work here. 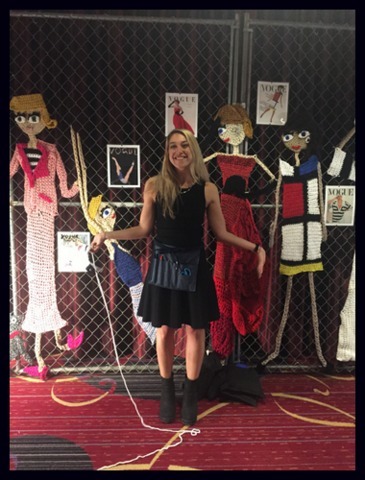 Artist London Kaye and her amazing creations! 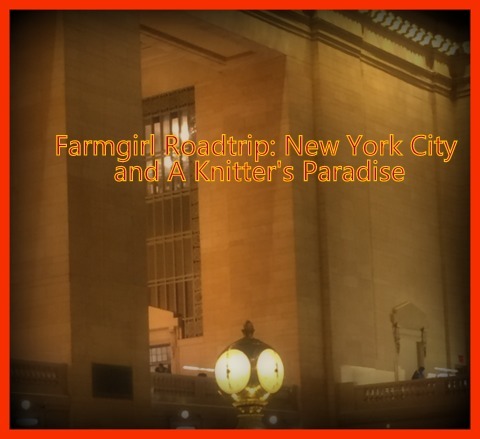 We watched live runway fashion shows, checked out new trends, and, of course, bought yarn. 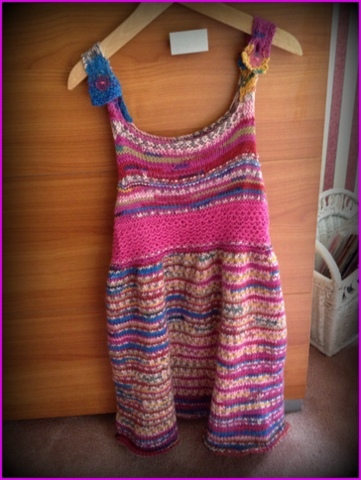 Andrea fell in love with a dress she saw, and while she was trying it on, I found a yarn I had. to. have. 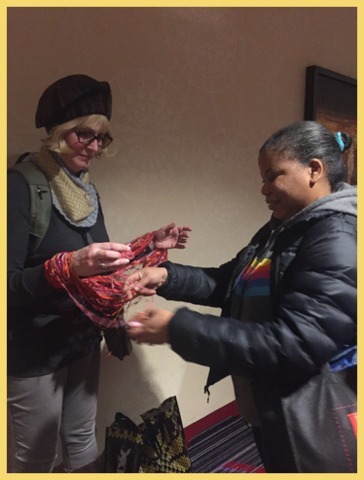 There was a sample scarf nearby that was stunning! This yarn is different colors, textures and fibers all on one skein (that makes one scarf). It was also the most expensive skein of yarn I’ve ever purchased – my splurge. They only had one left , and a quick worry passed as I noticed one end looked a bit frayed. Worry was right! At the winding station, my yarn tangled. The more we tried to fix it, the worst it got. The line behind me was growing longer by the minute, as I grew more nervous. I have patience to fix almost any knitting project. I can repair or back-track anything, but when it comes to untangling a big ball of snarled yarn I can’t cope! There are those whose “zen” is untangling yarn, and can sit for hours fixing a web of messy snarls. I’d rather have my teeth drilled. I started to sweat. I started to panic. I might have been about to cry. Realizing we were not going anywhere with this yarn, we carefully stepped aside to try to wind it by hand – with the snarled skein wrapped about Andrea’s outstretched arms. Just as I was about to give up, a gentle voice behind me said, “Let me help”. 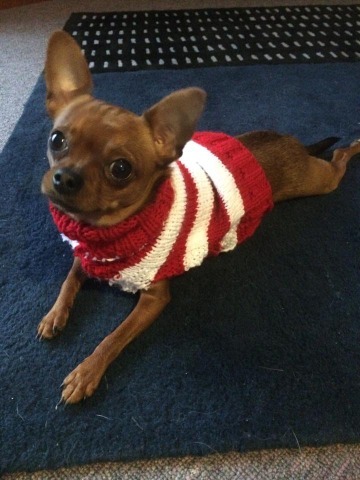 A stranger swooped in…a “yarn angel” . She started winding and untangling. This sweet lady not only got the yarn past the worst snarls, but proceeded to wind the whole thing, taking close to an hour! Marisol, who learned to knit as a child in the Dominican Republic when Home Economics was required, picked up knitting and crocheting for the school credit because she didn’t like to cook! 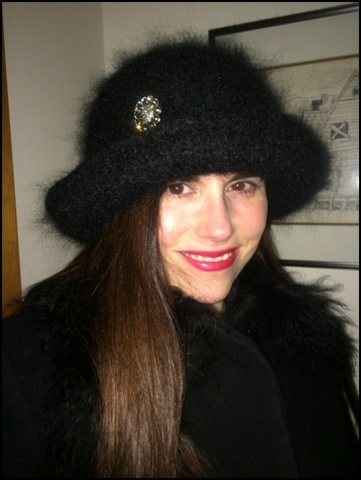 Years later, she still knits (as does her grown son who learned by watching his mom), and is in a knitting group that meets in Staten Island, where she often helps others with tangled yarn. “It’s relaxing”, she says. Marisol, THANK YOU for your random act of kindness! Marisol reminded me of the kindness of strangers, inspiring me to pass kindness on. Whenever I wear my scarf made from that yarn, I will think of you! After a very long, very fun day, we ate the best Greek food I’ve ever had at Uncle Nick’s in Hell’s Kitchen, and headed for the train ride home, bags of goodies in tow. Vogue Knitting Live will be in Las Vegas this March. I can’t wait to go to New York’s event again. Check their website to find all about Vogue Knitting Live. My biggest problem now is deciding what to finish and what to start! 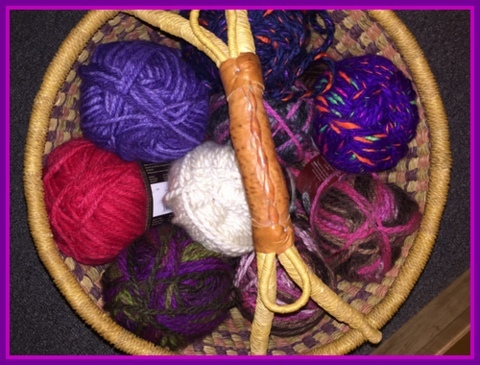 It is a knitter’s dilemma – so much yarn, so little time!